Definition: Conductive Rubber is a generic term referring to any rubberized material with conductive properties which reduce or eliminate the EMI/RFI (electromagnetic interference and radio frequency interference) “noise” that is often associated with electronics. While there are a handful of materials that might be considered Conductive Rubber, this article will be focusing on the three common material types. Multicon (oriented wire in either sponge or solid silicone) Conductive Silicone (metallized filled silicones), and Radthin (wire screen imbedded into silicone). Each material is unique in its construction as well as its performance. Please see product description below for more detail. Multicon material is one of the most prevalently used forms of conductive rubber today. It’s a combination of silicone and conductive wire paths which provides a superior environmental seal while providing EMI/RFI shielding to frequencies up to 6 GHz. 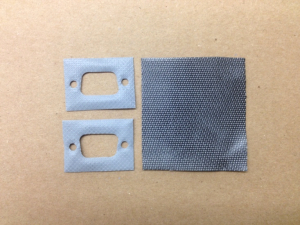 Multicon is offered in either solid or sponge silicone with either monel or aluminum wires for conductivity. The conductive wires are dispersed throughout the width of the material to provide great protection against EMI/RFI contamination. 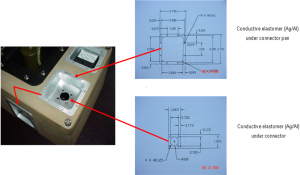 It’s constructed in such a way that when pressure is applied to the gasket, hundreds of sharp wire ends become exposed making electrical contact with mounting surfaces. Multicon can be provided in a wide range of thicknesses and widths to meet the needs of a specific application, or the material can be die-cut to meet various configurations. In Conductive Elastomer the base rubber is usually comprised of compounds such as silicone, fluorosilicone, or EPDM (ethylene propylene diene monomer). The use of a specific rubber is based upon the properties unique to each and determined by the intended environment and application. For example, silicone is used for general weather sealing and high temperatures to 400 deg. F. Fluorosilicone is used for applications where exposure to jet fuel, gasoline, and alcohols are present. EPDM is used for applications where exposure to coolants, steam, phosphate ester, or where supertropical Bleach (STB) is used. After choosing a specific rubber suited for the intended environment, a conductive filler must be determined. 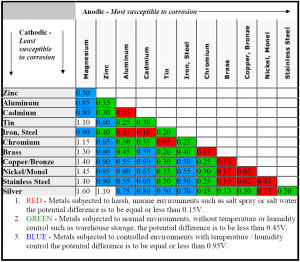 Some of the most common conductive metal fillers used are silver aluminum, silver glass, silver copper, and nickel graphite. 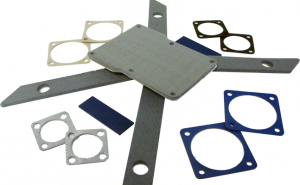 While not as popular as either the Multicon or Conductive Elastomer materials, the Radthin gasket material can be a valuable asset when an ultra thin gasket that can withstand a wide-range of temperatures is needed. 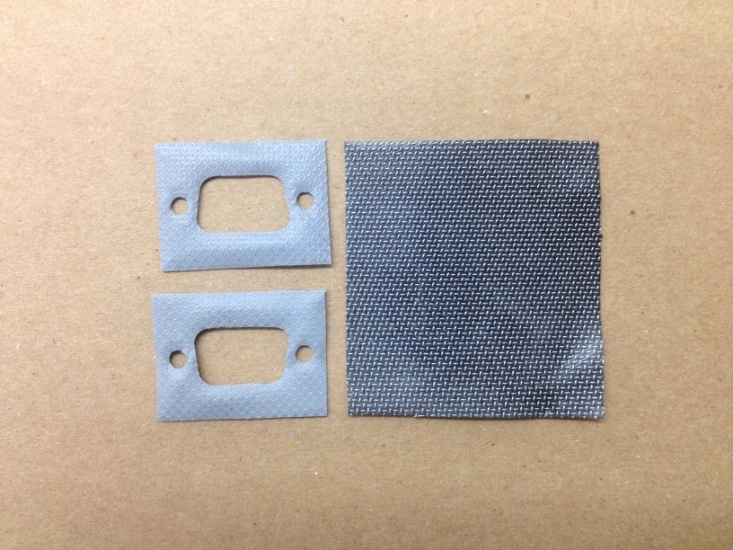 Often seen as a common gasket for connectors it can also be die-cut into custom shapes for other unique applications. When working with Conductive Rubber it’s important to remember that galvanic compatibility will also have an effect on which wire type or filler should be used. 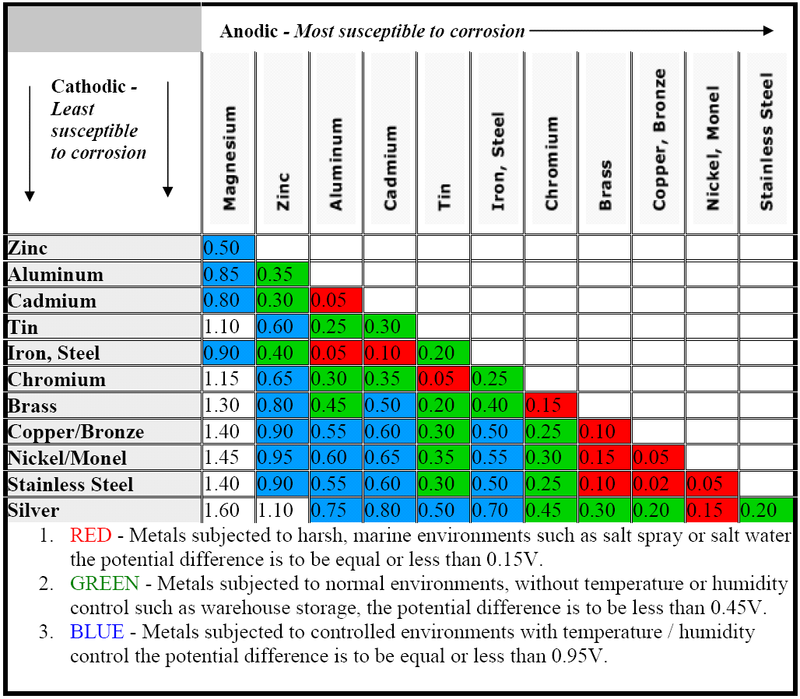 Galvanic compatibility is the corrosion potential between the conductive material and the metal interface or mating surface. In some cases, one side of the material may be exposed to a different metal than the other; in this case, a conductive wire type or filler choice needs to be made where the difference in voltage potential between the dissimilar metals are as small as possible. See figure #4 below. Where is Conductive Rubber used? Used in industries including but not limited to Telecom, Military, Computing and Medical devices, Conductive Rubber gaskets are used in applications where there needs to be an environmental seal and good to excellent shielding effectiveness. 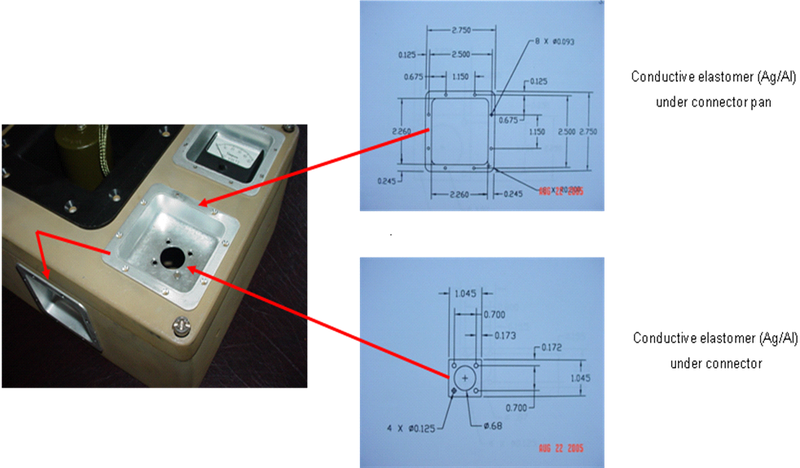 As an example, but not limited to, electronic enclosures with removable covers (Fig. #5), military shelter doors / access panels (Fig. 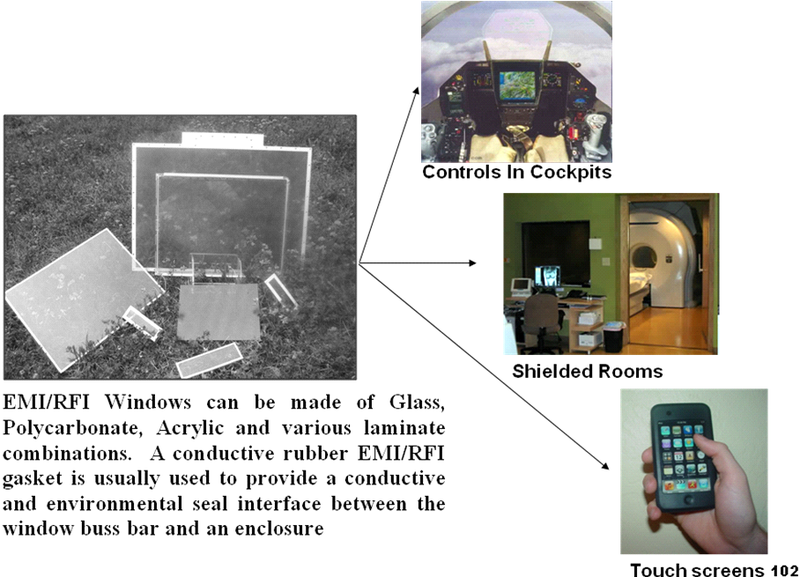 #6), Electronic displays for computing and handheld devices where conductive EMI/RFI windows need to be environmentally sealed and grounded.(Fig. #7). Figure #6 Military shelter utilizing conductive rubber EMI/RFI gasketing on the perimeter of the door. 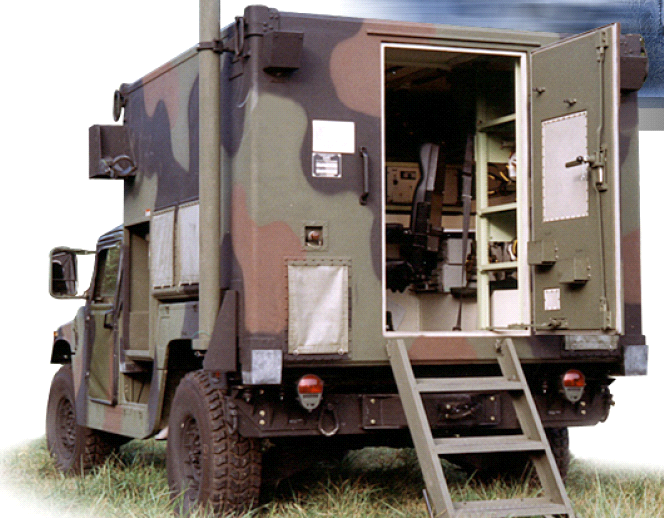 Conductive Rubber in any form is an important part of military and commercial electronic products. It enables these devices to meet radiated emissions and environmental requirements for use in many demanding applications throughout the world.